Photo: Tim De Waele | Getty Images (File). Team USA has a goal to win more medals than ever before in Tokyo, which will make picking the right team even more critical. 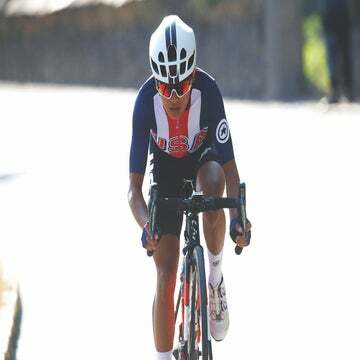 Editor’s note: This interview is part of the 2019 USA Cycling Season Guide published in the January/February issue of VeloNews magazine. USA Cycling has an ambitious goal for the 2020 summer Olympics in Tokyo: win more medals than ever. How does it plan to accomplish this task? The governing body must identify the American cyclists with the best chances of international success. How does USA Cycling pick its Olympians? It’s a tougher challenge than you might think. Choosing the right riders is a balancing act that must weigh concrete results and potential for future success, and in some cases factor in the ability to contribute to a team effort. Over the past year, USA Cycling’s vice president of elite athletics Scott Schnitzspahn has worked to improve the way the governing body chooses its athletes. Schnitzspahn joined USA Cycling in 2017 after seven years with the United States Olympic Committee, where he learned how to build a system aimed at winning medals. Athletes can secure Olympic spots in one of two ways. First, they can score an automatic spot on the team by meeting one of several extremely challenging criteria. Usually, an automatic bid comes after a victory or string of top results at major international races. Oftentimes, these requirements are so challenging that only a few riders meet them. Thus, USA Cycling has another way to make the team: A selection committee chooses the athletes. Comprised of nine volunteer members, this independent selection committee decides USA Cycling’s final roster for each sport. It’s not an easy task — USA Cycling staff weigh in on the final decisions. Olympic selection has not always been an easy process for either fans or athletes to understand. Schnitzspahn hopes that better-defined selection criteria across each discipline will make the country more competitive and make the process more transparent. American cyclists have the next year and a half to make their case for Olympic selection. That makes this a busy time for Tokyo hopefuls and USA Cycling. Athletes, coaches, and Schnitzspahn have one goal in mind: gold.